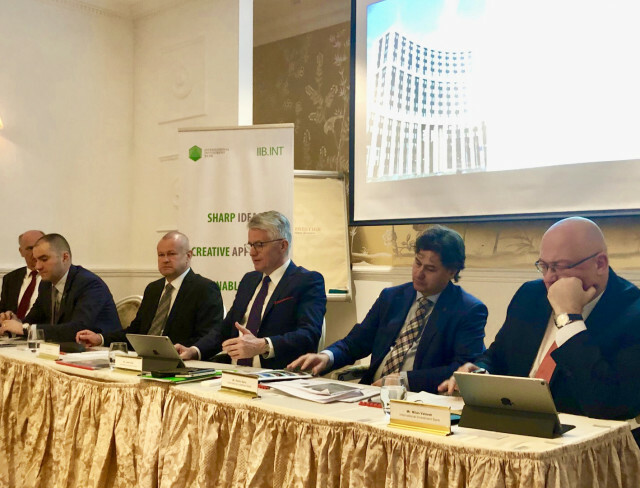 Capitalising on the upcoming IIB Headquarters relocation to Budapest as well as on the recent rating upgrade by S&P to A-, on March 20, 2019, with great success International Investment Bank (IIB) closed the order book for the inaugural HUF bond transaction with a 3-year maturity and a fixed coupon on the Budapest Stock Exchange. Based on a very strong demand exceeding HUF 30 billion, showing more than two times oversubscription versus the initially targeted amount of HUF 15 billion, IIB allocated the amount of HUF 24,7 billion (approximately EUR 79 million equivalent). Lead Arrangers of the transaction were OTP Bank and Unicredit Hungary. The bonds had been acquired by a broad investor base including banks, investment funds and insurance companies. 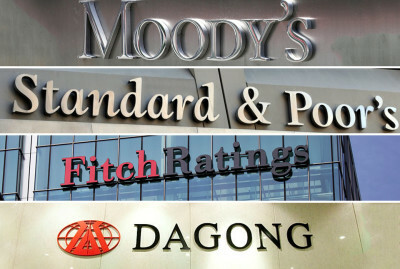 The Bank has continued its trend of lowering cost of funds raised on the markets of its EU member states. IIB issued the debut HUF bonds well inside the spread range indicated initially (70-90 bps) obtaining a 77 bps over the relevant 3 year Hungarian government curve (1,21% indicated at the start of the auction), corresponding to a weighted average yield of 1,98 %, the lowest nominal yield ever paid by IIB for a fixed bond issue. Also, through this deal on an euro after-swap basis IIB recorded the historical minimum level of 3 m Euribor + 90.5 bps for a 3 y tenor ever raised under a capital market transaction. This issue is yet another historical event for IIB - the first ever HUF bond issue in Hungary but also the first ever bond issue by an international financial organization under Hungarian law, showing once again the Bank’s contributing role to the development of the local currency capital markets in its member states. According to the timeline of the transaction, HUF bonds are to be listed on the Budapest Stock Exchange on March 26, 2019. After that, they could be traded on Budapest Stock Exchange and price discovery of the bonds will be provided by both OTP Bank and Unicredit Hungary under the market-making arrangements agreed with them both by IIB, as well as in Bloomberg in accordance with the Offering Circular approved by the National Bank of Hungary. The bond transaction followed an intensive marketing process through a non-deal roadshow in January, covering both offshore and local investor base, and the deal related road show event organized just before the auction during 18-19 March 2019 with the support of Mr. Gábor Gion - State Secretary for Financial Policy Affairs, Ministry of Finance of Hungary. This transaction is another step in IIB’s successful strategy of diversifying funding sources by tapping its EU member states’ markets while further lowering the cost of funding. 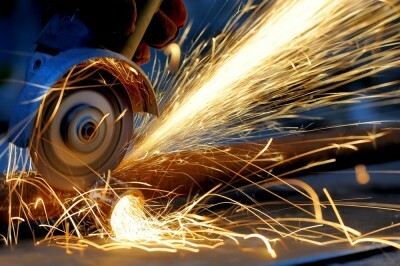 Of a principal significance is that proceeds will be used to extend loans to corporate customers in the European Union member states in general and Hungary, in particular. Among these loans is a greenfield project in Hungary recently approved by the Bank’s Board of Directors, a new governing body introduced in 2018 with entry into force of new Statutory documents. Remaining proceeds will be directed to refinance part of the liability portfolio. “This debut HUF bond issue represents another confirmation of two features: long-term financial sustainability of IIB and growing trust of investors in the Bank”, First Deputy Chairperson of the IIB Management Board Jozef Kollar, responsible for Treasury and debt finance, stressed. 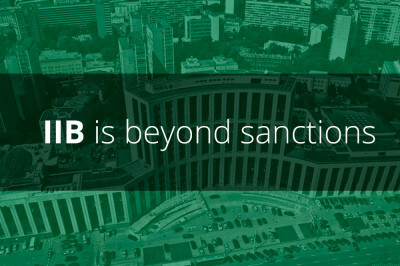 After successful bond issuances in Russian rubles, Euro, Romanian lei and Czech koruna, IIB is successfully achieving one of its key strategic goals of promoting the development of capital markets of member states, in this case Hungary, thus fulfilling its mission as a multilateral development bank.